The series provides rubrics with differentiated instruction to help every student achieve on-grade-level competency in writing. The series contains six grade-specific titles for Grades 1-6 and can be used in mainstream classrooms, resource rooms, pull-out intervention settings, after-school programs, and at home. 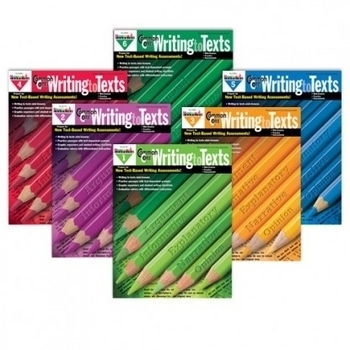 There are no other grade-specific teacher resource books that cover Common Core State Standards in English Language Arts with a focus on reading complex texts and responding in writing to those texts. This requirement is a major change to previous state standard requirements, and teachers, parents, and students will need ample support to achieve on-grade-level success.